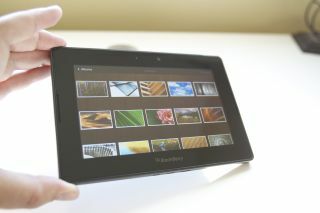 The BlackBerry PlayBook has become the first tablet to receive the necessary certification for it to be used by federal government agencies in the US. RIM's first tablet effort received the Federal Information Processing Standard (FIPS) 140-2 certification which is required for any gadget hoping to be used by the White House and any other governmental department. No doubt RIM's excellent security procedures were key in getting the tablet the federal okay – it's the enterprise-level cautiousness that has so far kept the PlayBook from getting its own native email app, relying on BlackBerry smartphones' secure exchange to populate email, contacts and calendars on the tablet. Either way, RIM is pretty happy with the news - Scott Totzke, Senior Vice President, BlackBerry Security at RIM said, "This certification demonstrates our continued commitment to meeting the needs of security-conscious organisations and enables the U.S. federal government to buy with confidence knowing that the PlayBook meets their computing policy requirements for protecting sensitive information." So next time you're in the land of the free, keep an eye out for suits with 7-inch tablets and frustrated grimaces on their faces; they're probably browsing the BlackBerry App World and finding nothing useful. But hey – at least they're doing it securely.